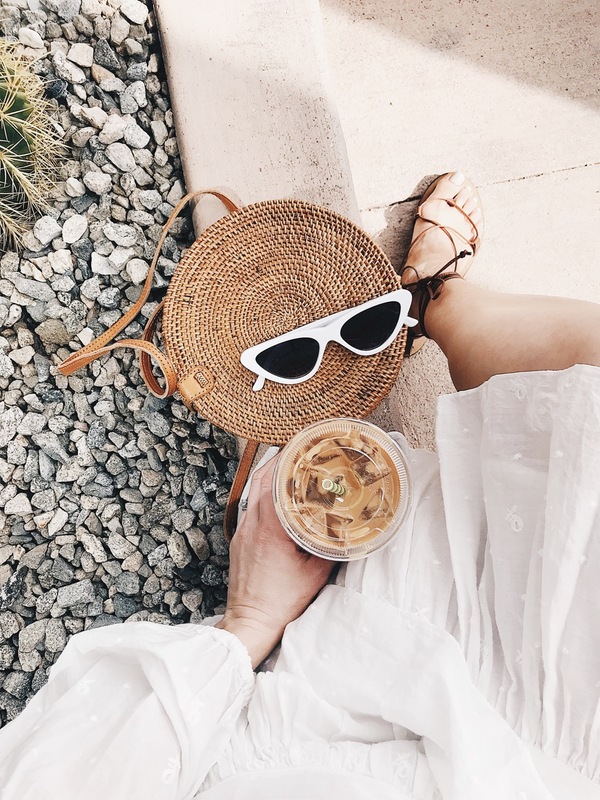 Heading to Palm Springs soon or thinking about a trip?? 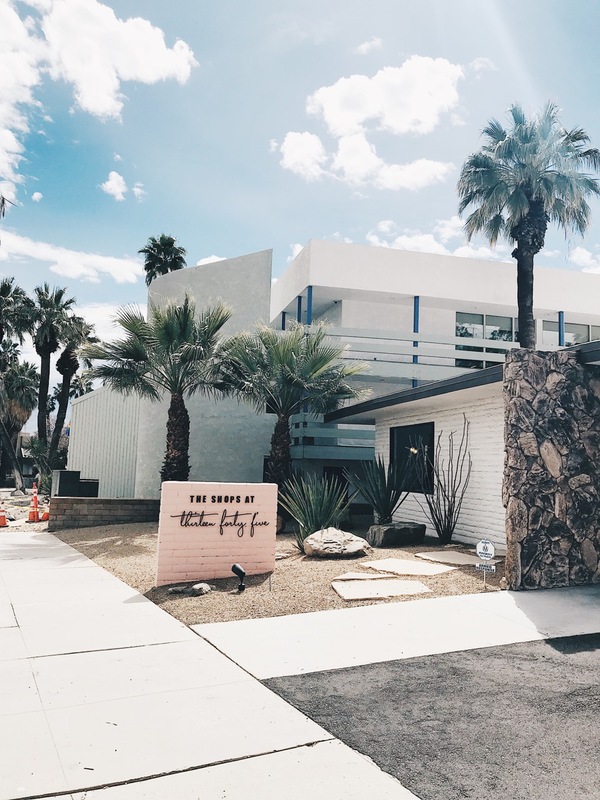 Here is the ultimate travel guide on what to do in Palm Springs. Joshua Tree National Park. I know this one is probably on EVERY Palm Springs travel guide. I promise, it’s for a good reason. 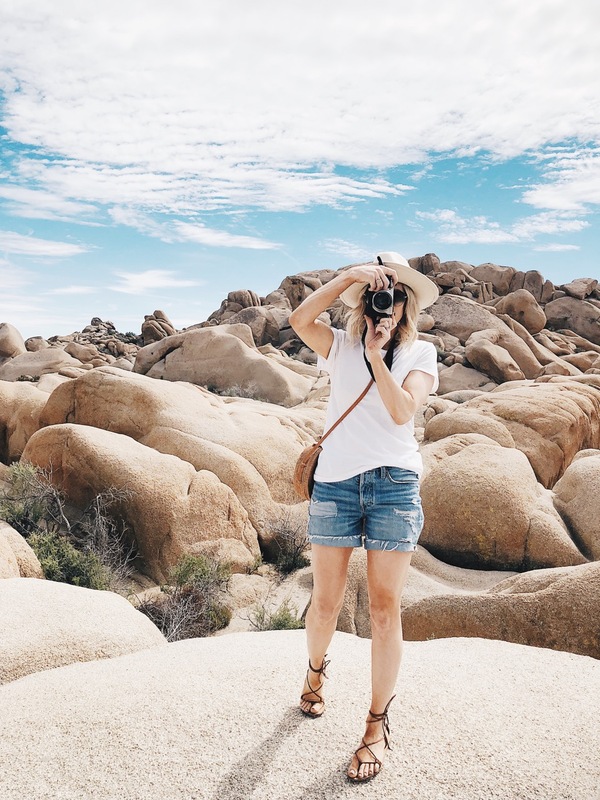 We had a chance to drive to Joshua Tree on this trip, and it did not disappoint. The drive through the park is peaceful, and the sights are absolutely amazing. It felt so nice to be completely removed from a city, and take in the views. Our kids found it pretty entertaining too! If you love photography, this is a great spot to take photos. Salvation Mountain. This is still on our list of places to go in Palm Springs. I wanted to include it though because it looks so cool! Located several miles from the Salton Sea, and approximately 1.5 hour drive from Palm Springs. This beautiful “outsider art” masterpiece was created by Leonard Knight. It was made entirely from local adobe clay and donated paint. I would imagine that it is quite amazing to see in person, and worth the drive. The La Quinta Resort. This spot is one of our go-to’s when traveling to Palm Springs, so it had to be in the travel guide. La Quinta is about 20 miles from Palm Springs, located in the Coachella Valley. The resort features a full service hotel, spa, restaurants and shops. We like to grab a coffee, walk around the gardens, and check out the stores. They also have the BEST Mexican restaurant. You can learn more in the where to eat section below! La Quinta Farmers Market. 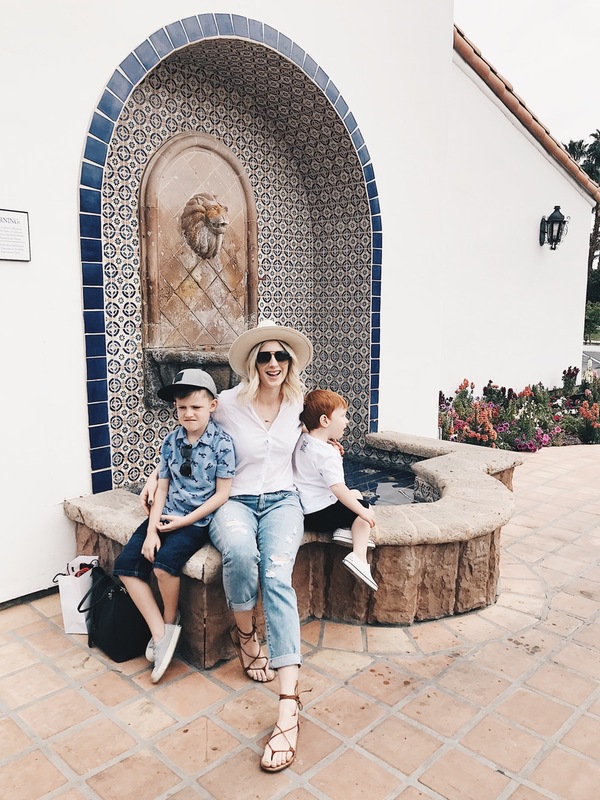 We spend most of our time in La Quinta, as that is where our family is. 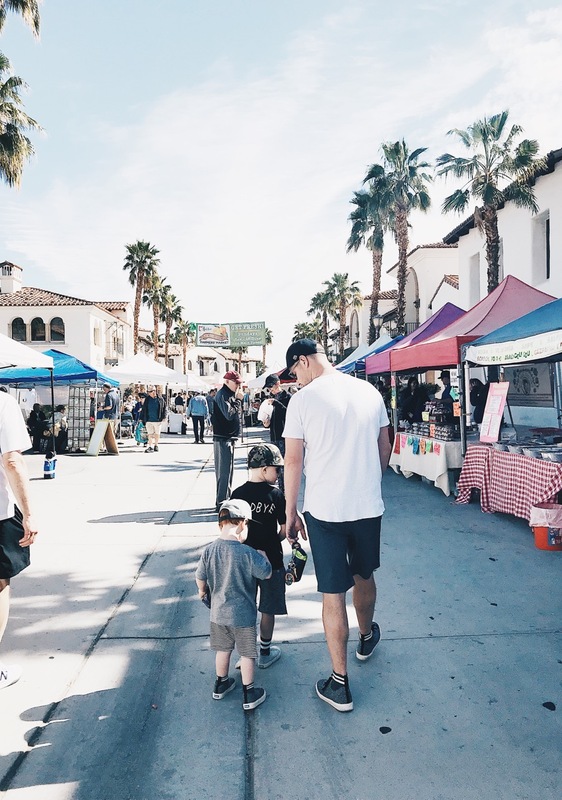 So we typically head to the La Quinta Farmers Market on Sundays. There you can find fresh and organic produce and other foods, flowers and more. There is also live music which creates a real ambience! We love walking through, and grabbing fresh ingredients for that night’s dinner. The market takes place in the centre of Old Town, surrounded by shops and restaurants. 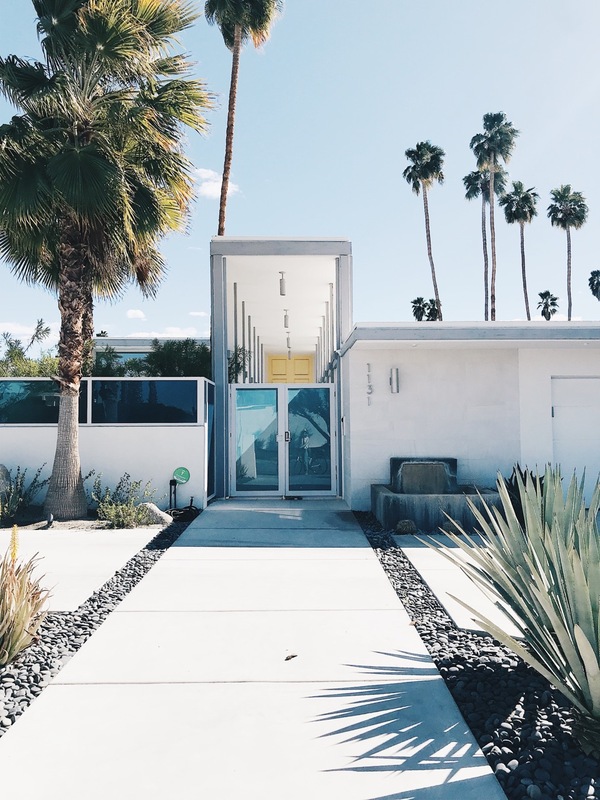 Palm Springs Self-Guided Door Tour. After two years of wanting to see #thatpinkdoor, we finally did it!! Check out the beautiful mid century modern homes located just a few blocks from the Saguaro. This is easiest to do by bike, as the homes are spread out over several blocks. Take in the designs, and gather inspiration for your own home ;-). Check out Salty Canary’s post for a map of all the homes to visit! I loved this place with a MASSIVE yellow door. 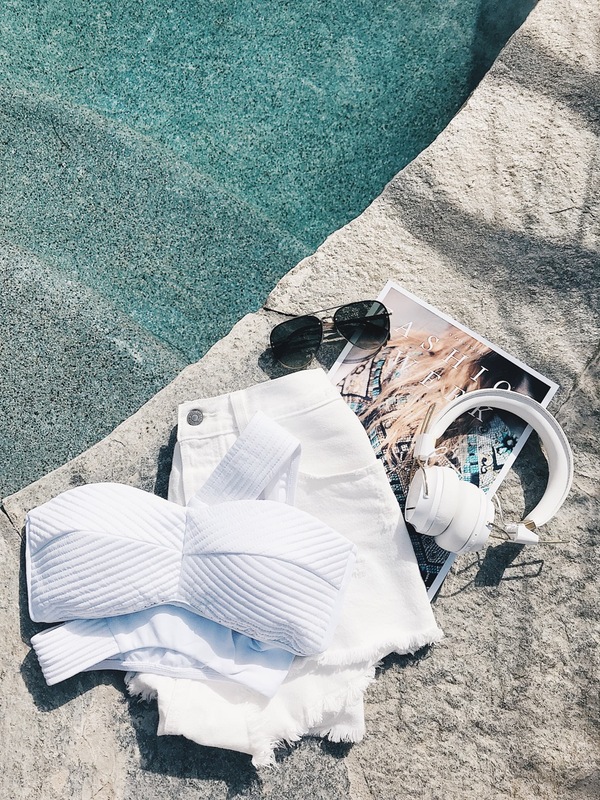 Every travel guide needs a where to shop section, right?! 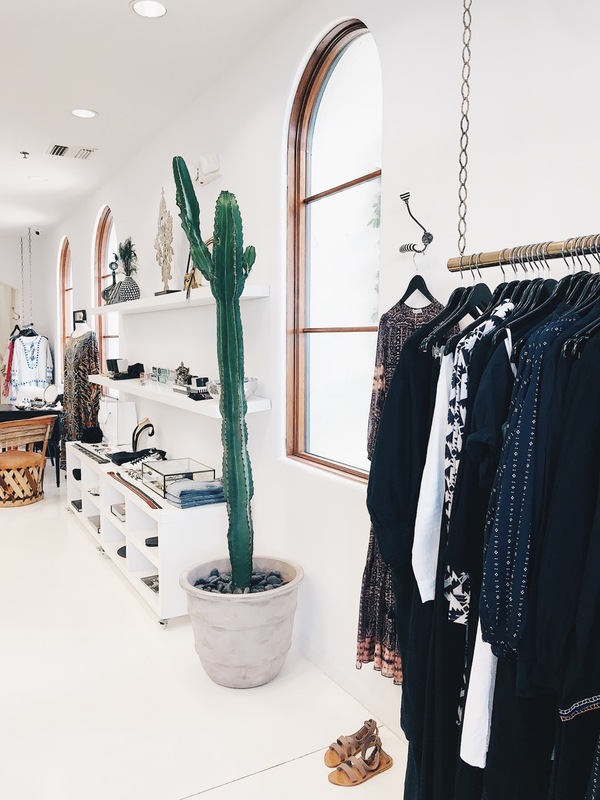 Thankfully Palm Springs has lots of great places to shop! 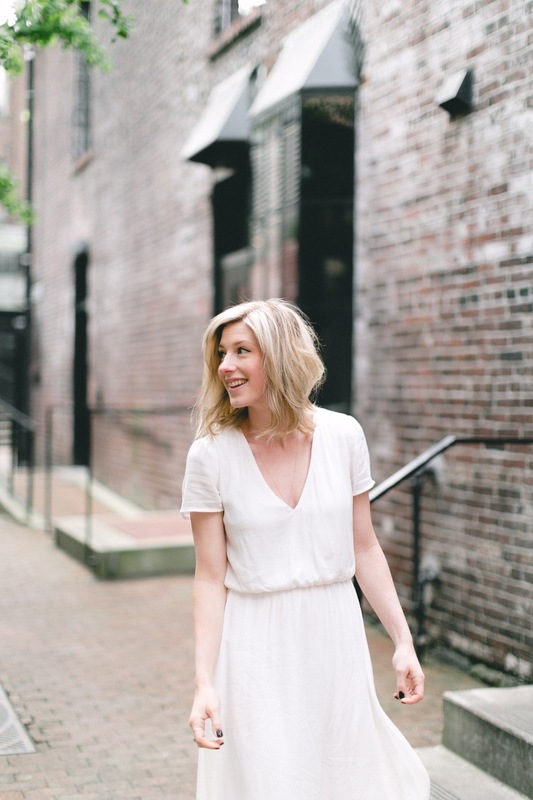 Whether you love designer, vintage, local or even outlets, there is a place for you! North Palm Canyon Drive. This street has stores that go for miles. From Trina Turk, Will Stiles, to the Shops at Thirteen Forty Five. This area is very “Palm Springs”; you can find a large variety of cool shops & local designers. Check out Daydreamer for amazing band tees! Desert Hills Premium Outlets. If you are on the hunt for some amazing deals, check out Desert Hills outlets. I have scored BIG time there before!! All your favourite brands in one place. Be prepared to spend the day there because it is HUGE! I always like to indulge while we are on vacation. Why not?! There are endless places to dine in Palm Springs. 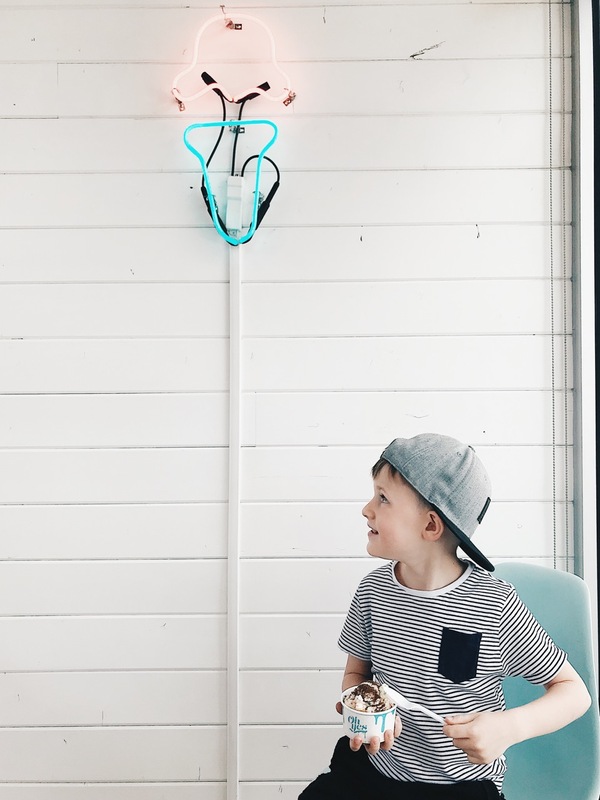 My mouth is watering just thinking about it 😉 Here are a few of our favourite spots to eat..
Draughtsman. Located next to the Arrive Hotel, this casual dining spot has amazing food and a great atmosphere. We stopped in for lunch and I was blown away by the food. 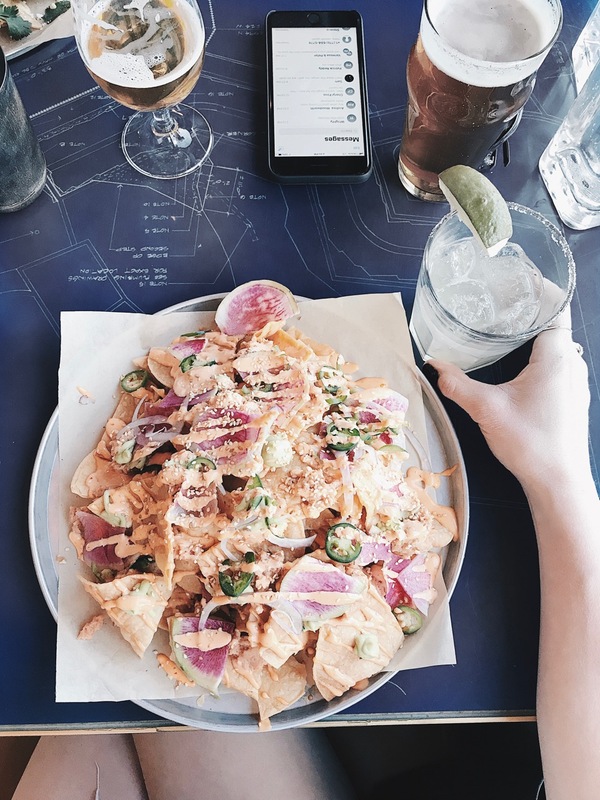 We stuffed our faces with spicy tuna nachos, cauliflower “mcnuggets” and more. SO. GOOD. Adobe Grill. The best authentic Mexican cuisine is located at the Adobe Grill at the La Quinta Resort. We go there every time we come to Palm Springs. Live music, gorgeous patio, guacamole made tableside, and a fishbowl margarita – it’s a great spot. Azucar at La Serena Villas. This gorgeous restaurant is located inside the La Serena Villas. They offer a delicious farm to table menu with Spanish & Mediterranean influences. Hang out on the rooftop patio or around the pool, and take in the gorgeous decor! Ernest Coffee. Another spot to visit in Old Palm Springs. Great coffee, atmosphere and service. They serve Stumptown which I love! Next on our list of places to go.. The Cabazon Dinosaurs, Palm Springs Fan Club & the Moorten Botanical Garden!